The female candidates who read this blog will hopefully forgive me for my lack of knowledge concerning the female-specific aspects of OCS. What can I say? I’m a male. We didn’t even have a female platoon in our company. But one of the things I can straighten out is that all pull-ups in my PFT discussions now apply to males and females. Women now do Pullups, not the flexed arm hang. Notice that scores are calculated differently for men and women for both the Pullups and run. Sequence of Events. The sequence of PFT events will be left to the discretion of the CO. All PFT events will be conducted in a single session, not to exceed 2 hours in duration. Movement of Marines from one event to the next should allow adequate time to recover, stretch, and drink water. The goal of the Pullup event is for a Marine to come from a dead hang to raising their chin over the bar. (1) This is a not a timed event. (2) Sweatshirts will be removed during the conduct of the pull-up event in order to observe the lockout of the elbows with each repetition. (3) Assistance to the bar with a step up, being lifted up, or jumping up to the start position is authorized. Any assistance up to the bar will not be used to continue into the first pull-up. (4) The bar must be grasped with both palms facing either forward or to the rear. (6) The Marine’s legs may be positioned in a straight or bent position, but may not be raised above the waist. (7) One repetition consists of raising the body with the arms until the chin is above the bar, and then lowering the body until the arms are fully extended; repeat the exercise. At no time during the execution of this event can a Marine rest his chin on the bar. (8) The intent is to execute a vertical “dead hang” pull-up. 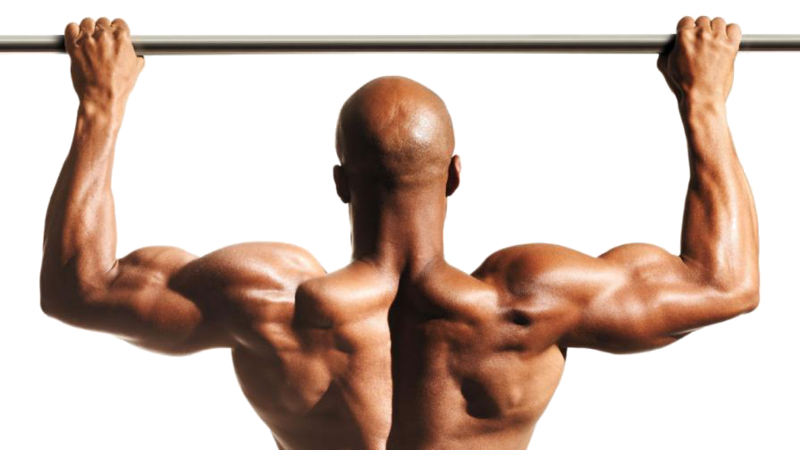 A certain amount of inherent body movement will occur as the pull-up is executed. However, the intent is to avoid a pendulum-like motion that enhances the ability to execute the pull-up. Whipping, kicking, kipping of the body or legs, or any leg movement used to assist in the vertical progression of the pull-up is not authorized. If observed, the repetition will not count for score. (9) A repetition will be counted when an accurate and complete pull-up is performed. (2) On a flat surface, Marines will lie flat on their back with shoulder blades touching the deck, knees will be bent, and both feet will be flat on the deck. (3) The arms will be folded across the chest or rib cage with no gap existing between the arms and chest/rib cage. Both arms must remain in constant contact with chest/rib cage throughout the exercise. A single repetition consists of raising the upper body from the starting position until both forearms or elbows simultaneously touch the thighs, and then returning to the starting position with the shoulder blades touching the deck. (4) The buttocks will remain in constant contact with the deck throughout the event. No arching of the lower back or lifting the buttocks is permitted. (5) An assistant may be used to hold a Marine’s legs or feet, at or below the knees in whatever manner that is most comfortable for the Marine. Kneeling or sitting on the Marine’s feet is permitted. (6) A repetition will be counted when an accurate and complete abdominal crunch is performed. (1) This is a timed event. (2) On the command to start, the two Marines monitoring the event will start their watches simultaneously when the last Marine passes the starting point. The Command PT Representative will remain at the start/finish and the other monitor will take the safety vehicle (with communication capabilities) to the halfway point. Monitors will call out the split or finishing time as appropriate, as each Marine passes. Whats a qualifying or reasonable score for females for OCS?